Are Fixed Deposits Actual Replacements to Mutual Funds? Most of the investors in India are risk-averse and prefer choosing safe investment avenues. Even with a large number of structured products being offered to Indian investors, the popularity of fixed deposits (FDs) is high. FDs are offered by the banks and provide slightly better returns than the saving bank account. One reason for their continued popularity is the guaranteed return on investment at the time of maturity. Most investors fail to overlook the inflationary increases and tax liabilities while calculating the return on FDs. It is, therefore; not surprising that on a closer evaluation, investing in FD may actually result in a loss for the investors. A better albeit riskier option is investing in mutual funds (MFs); which are professionally managed by experienced fund managers. Various fund houses offer different options, which makes it easier to find one that most appropriately suits an individual investor’s needs. FDs guarantee the returns on the initial investment at the time of maturity. These are based on the investment amount, tenure, and the age of the investors. In comparison, returns on mutual funds are based on the market performance of the asset class and are not guaranteed. While investing, considering the effects of inflation on the overall returns is important. Opting for financial products that provide profits exceeding the inflation rate is prudent. Adjusting the guaranteed fixed deposit rates for the inflationary increase will give investors the exact profits they will make on their invested capital. Banks offer guaranteed returns on the FD at the time of investing. Any fluctuations in the market conditions and interest rates do not affect this return. On the other hand, MF returns are directly related to the performance of the asset class in which the capital is invested. Therefore, investing in MF is riskier than FD but offers a better opportunity for investors to earn higher returns. MFs are more liquid than FDs because the latter cannot be withdrawn before the maturity date. If an investor needs to prematurely withdraw the FD investment, he or she will need to pay high penalties. Most MFs do not have a specific lock-in period unless equity linked funds, which provide tax benefits. However, an investor may have to pay an exit load (fee) if he or she liquidates the investment before one year from the date of purchase. Checking the exit load before making the investment is advisable. Investing in MFs has certain costs and associated expenses, which vary based on the type of fund chosen. The returns on the investments are adjusted for these expenses. FDs, on the other hand, have no initial investment expenses and the entire returns are available at the time of maturity. Understanding the tax implications of any investment before making the decision is vital. Returns on MFs are classified as capital gains while the fixed deposit interest earnings are classified as income. This means the entire interest earned on the FDs is taxable. Investors must pay the tax as per their income tax slab rate. In comparison, long-term capital gains (investments redeemed after one year) made on equity MFs are tax-free and short-term capital gains are taxed at 15%. Long-term returns on debt MFs are taxable at 20% (with indexation) and 10% (without indexation). Investors must pay short-term capital gains tax as per their tax slab rates for debt MFs. Each of these two financial products has specific pros and cons. In addition, to understand these, an investor must consider his or her risk profile and investment period before making the choice. Stumbled upon this really handy mutual fund taxation reference sheet (2012 — 2013). I also took the liberty of creating this easy-to-print PDF version. Fly With the Birds. Swim With the Dolphins. But What About Your Hard-Earned Money? If you had some good entertainment last week, you’re surely in for a treat this week. How about this clipping from an ad for a certain “India Opportunities Fund” to kick start your entertainment this week? Note: Sorry about the slightly bad image quality. I had to click it in a hurry and then had to remove the rubber-stamp logo of the library from where I borrow all of the magazines that I read. Costs me just about Rs 400 each month for an armload of my favorite magazines. 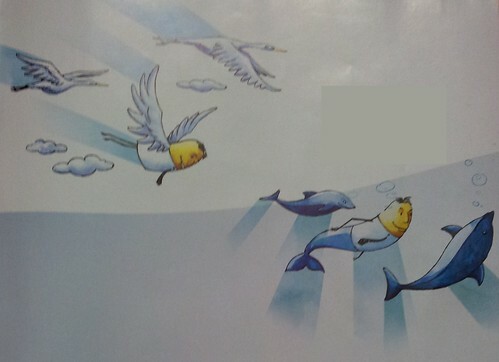 It might be total fun to fly with those lovely white birds and then take a dive with those oh-so-cute dolphins, but what are you actually doing with my hard-earned money (apart from spending it on these colorful ads)? The fund’s mandate is to invest in a broad selection of large- and/or mid- and/or small-cap companies depending upon market conditions. Sounds more like stock churning at every possible opportunity. And by the way, who’d be the one actually doing all of the flying and swimming — you, the fund manager, or the distributor/agent? Who? Who? Who? Just some fun for a Monday afternoon! Have a great week ahead! I happened to read somewhere about this Entertainment Opportunities Fund and when you look at the performance of the fund you cannot help but question as to who’s actually having the entertainment! If you’ve invested your hard-earned money in this fund I’m pretty sure that you haven’t been entertained! In general, the more esoteric the name of a mutual fund or insurance scheme is, the faster you should run away from it — in the opposite direction. Perhaps the disclaimer in this case ought to be modified from “past performance may or may not be sustained in future” to “past entertainment may or may not be sustained in future”. And coming up on Wednesday, the book giveaway contest for July. Stay tuned. When I say potential income, I am referring to any passive income plus the income that I could potentially generate by liquidating all of my low-liquidity and medium-liquidity investments, consolidating it into one corpus, and earning a monthly interest off this corpus at an assumed average rate of interest. My first target is to have at least two successive quarters where the income line is above the expense line. Now, that would be something! After I wrote that article up, I began thinking could not stop thinking why “just potential income?” By now, I have saved-up a pretty decent corpus. So, what lucky star am I waiting for to fall from the skies? Why don’t I actually start earning that monthly interest right away and see how much of that “potential” is really “actual”? The interest rates are pretty high and solid right now (especially around the 24-month tenure). So, I can actually begin to test the waters of early retirement while I continue to earn a pretty good salary from work. [And to some extent even] Annuities from Life Insurance Companies! Each of these options has its own idiosyncrasies — investment style, lock-ins, income tax efficiencies or lack thereof, and so on. For example, you’re not really guaranteed a monthly income by a Monthly Income Plan from a Mutual Fund, the Post Office Monthly Income Scheme guarantees a fixed monthly income but locks-up your money for five years, an Annuity from a Life Insurer guarantees a fixed monthly income for quite a long time but you don’t get to see your money ever again, and so on. All of that brainstorming and research was frankly overwhelming — seriously, once you get into the passion of early retirement, it starts to take a life of its own! To come back on track, I started to question my real intention — was it “To test the waters of early retirement?” or was it “To build the most optimized early retirement portfolio?” And that was pretty easy to answer. I really only want to test the waters of early retirement and therefore I simply settled on a “Think BIG, Start small” strategy. Accumulate all of my high-liquidity savings and investments into a single corpus (say X). Most of these are anyway nearing maturity and so I don’t have to prematurely close anything. Keep X/2 in fixed deposits with a monthly interest payout. I’m shooting for the 24-month tenures (or approximately, because in some cases 24-months plus 1-day gets you a higher interest rate!). But, on an average, the monthly payout seems to cause a discount of 0.07% on the published interest rates. So, if the published interest rate is 9.25% you’ll end up receiving 9.18% simple interest with the monthly payout option. Keep X/2 in high-interest Liquid Mutual Funds (my research suggests that the yields here are a bit higher than what you get on the 24-month fixed deposit). Then withdraw exactly the interest (or gains) earned each month and add it to the above monthly payout. Try to live off this investment income plus the passive income from a couple of other sources and figure out how to make ends meet. I foresee this to be a serious challenge — given the current pretty indulgent salary-based lifestyle (and that’s also why I want to test the waters of early retirement from this aspect as well). I also want to retain the flexibility to discard this strategy at any time should it not work as expected (and the above investment choices would give me the needed flexibility). I’m also currently OK with having to pay any income tax that needs to be paid on the investment income. After all, my primary objective beyond everything is to test the early retirement waters from all angles. As some of my other investments mature over the next couple of quarters, I will divide the proceeds equally between the above two investment vehicles. I’m also going to add all savings from my salary in the same proportion. The intent is to keep growing the monthly payouts. Finally, overarching is the support and commitment that I have from D for this experiment. I think it’s going to be a great challenge. What do you think? Can you spot any drawback with this strategy? A few years back, in the good old bull run, someone advised D to invest in a couple of Equity Linked Savings Schemes (ELSS) in order to avoid having to pay income tax. Taking the advise in good faith, D invested Rs 75,000 in two ELSS mutual funds. Today, after about four plus years, their combined value is a mere Rs 60,000. Back then, an amount equal to Rs 7,500 (75,000 x 10%) was saved from being paid as income tax, but today, the loss is exactly double of that. On the other hand, if that income tax was paid and the remaining Rs 67,500 (75,000 – 7,500) was simply kept in a fixed deposit or even just left to idle in a savings account, I wouldn’t be writing this post today. D still has the original account statements and for one of the ELSS funds I found an entry load of Rs 500-plus for an investment amount of Rs 25,000. Seriously! I doubt if these two mutual funds are going to do any better in future and I’m think of recommending to D to cut her losses now. Reminds me of something I said about 3-years back — investing just to avoid paying income tax is a really bad idea. Mutual funds today provide helpful tools like systematic transfer plans that can help the investors achieve the derisking objective with ease and convenience. Read in the December 14, 2011 issue of Outlook Money. Hope you are doing good. Need your ideas on saving for my child’s future. I have made a few investments for my kid’s education. But these are long-term investments which will give returns only after 18-years. In addition to this, I would like to have investments allocated exclusively for my child. These investments must be utilized for ongoing school education and also for meeting irregular/unforeseen child expenses. The investment scheme must be flexible enough to withdraw a partial amount at any moment and must also give good returns. I believe that I am a disciplined investor. Is investing in a Balanced Fund the right option? Kindly suggest if you know of any other investment plan that will cater to my need. For me, questions regarding investments for children-related goals are tricky because D and I haven’t reached that stage of life yet. But I’ll still give this a go (some of my advice comes from the discussions that I’ve had with my sisters regarding investment options for their kids). I’ll also throw-open your question to other readers on the blog since they might be in a better position to answer. It’s generally impossible to optimize for all three in one go. If there was such an instrument that has high liquidity, low risk, and high rate of return, we’d all be in the queue to pick (no, grab) a piece of that instrument. You need to always keep this in mind — plus the fact that each of these three factors are subjective (what’s liquid or low risk to you might not be so to me) — when picking-up an investment option. I think you can split your goals for you child’s ongoing education/expenses into two: short-term ones such as paying for school expenses each year and long-term ones (3- or more years away) such as saving-up for your child’s higher-education. I couldn’t think of any medium-term ones exclusively pertaining to children (Donations? Building Funds?). For the short-term ones, go for a simple Recurring Deposit at your Bank. Example: If annual school fees are approximately Rs 60,000, open a 1-year Recurring Deposit with an automated monthly payment of Rs 5,000. While it’s possible to mathematically optimize the Rs 5,000 such that you precisely have Rs 60,000 at maturity, I’d refrain from doing so because the extra cash (in the form of the annual interest earned) will act as a margin of safety. For the long-term goals (3- or more years away), I’d go with either a pure-Equity fund (such as HDFC Equity or HDFC Top 200) or a balanced fund (such as HDFC Prudence or HDFC Balanced) (growth options). I’m personally inclined towards the balanced fund route. But if you have time on your side, you could start with a pure-Equity fund and two-thirds of the way in start switching out to a balanced fund. But whatever you choose, do review your investments at least once every quarter. The balance in this kitty can also serve towards unexpected expenses incurred towards your child. Having put across my thoughts, I’d like to now throw it open to you. What do you think of this plan? Can you suggest a better plan based on your experience? Unfortunately, a proportion of investors seem to have the expectation that an SIP is a sort of a magical device that can protect them from all losses. It’s not. An SIP means that you keep investing though the ups and downs of the markets, ensuring that at least part of your investment is made when the markets are down. In the long run (and in equity investments, long run means three years at a minimum), this leads to higher profits. But to my mind, the real advantage of SIPs is as a psychological device that keeps you investing when the markets are down because, you know ‘buy low’ is the more important half of ‘buy low sell high’. Did that at every dip. And we’re already on our way up (at least at the time when I wrote this). I would have loved to invest more, but then I ran out of accumulated funds. D’s accumulated funds were way more than mine and so her investment portfolio should jump back way better (it was down only 2.3% on a much higher principal). Though I don’t agree with everything that Value Research says, I really do like the fact that they at least put a specific number on the “long run.” How many times have you seen that elsewhere? How Many Mutual Funds From the Same Fund House Is Too Many Mutual Funds? Well, why not? Consider these specific mutual funds. HDFC Top 200 Fund (Growth). HDFC Monthly Income Plan Long-Term Plan (Growth). Perhaps these are the best mutual funds ever seen in the Indian Capital Markets. Not having a combination of these exceptionally managed mutual funds in your portfolio just because of the reason to diversify just doesn’t make sense. You could argue vehemently that all of these funds are managed by a single fund manager and hence there arises the need to diversify. My argument is that if this fund manager has stuck around managing these funds for so long there’s no reason not to believe that he will continue to do so. Worrying about the fund manager’s employment prospects shouldn’t find a place in your list of worries. And where does “diversification” end? Fund House, Fund Manager, Large-cap, Mid-cap, Small-cap, Multi-cap, Index, Sectoral, Thematic, Distributor, Fund Launch Date, — you can’t diversify for every silly reason in this world. All said and done, it’s really OK to have more than one mutual fund from the same fund house. Just pick the right fund house — that’s a better advise, but I’m not an “expert.” You wouldn’t want to have all your eggs with the wrong goose right? But all your eggs with the right goose can hatch wonders. When Do I Buy Into Mutual Funds? My mutual fund investing strategy is anything but systematic. While I do know how much money I want to set aside each month for investing in mutual funds (across various financial goals), I don’t follow the common Systematic Investment Plan (SIP) strategy (I used to do that at one point in time by investing on a common date each month but not anymore). Rather, these days, I accumulate the cash each month against each financial goal and buy into respective mutual funds each time there is a 250-point dip in the market (for me, the SENSEX). I don’t specifically recall how I settled on this “250-points strategy” but that’s become a habit now and it has served me quite well. Over the past few months, I’ve managed to buy-in at very low price points and I’m already seeing the results payoff. The 250-point dip doesn’t have to be on a single day. So, for example, if the SENSEX dips from 18,750 to 18,500 over a 3-day window, that’s good enough for me. Further, the dip has to happen by 2 pm (because the cut-off to get that day’s NAV is 2.30 pm) so that I can take a call on whether to invest or not. If I believe that the market would tank further the next day, I wait till 2 pm the next day. A pretty unusual strategy (that’s why you read this blog right?) but if you have the time and inclination it’s worth executing. Buy units as cheaply as you possibly can and watch them go up. In India, the stock markets seem to have settled into a pessimistic mood. There are the occasional bright days, but in general bad news of all kind has created a miasma which doesn’t seem to be anywhere close to clearing. It’s just the kind of time when the whole idea of investing, specially investing in equity for the long term loses any urgency. You don’t get the feeling that you’ll be missing a bus by not starting fresh investments now. No great gains appear to be possible and therefore no great opportunity loss will take place if you don’t invest. So that equity SIP that you could have signed up for will probably go unstarted till you can feel some excitement of making money in your bones. For the thinking saver, these are actually very exciting times, the sort when you can quietly lay the foundation of your future fortune. Couldn’t agree more. I’m slowly and steadily hiking up my equity exposure. 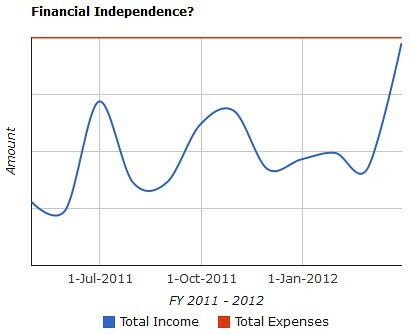 How I’m Planning to Invest in Debt Funds in 2011? I had more or less settled upon how I’d go about investing in debt funds (as part of one or more of my goal-oriented portfolios) in 2011 when I happened to read this insightful article on the outlook for debt mutual funds in 2011. Coincidentally, my own research and strategy happens to be a close match. Excerpts from the interview with my comments outside the colored boxes. For the investors who seek liquidity and want to optimize returns, we recommend the dynamic bond fund, which promises to navigate through various stages of business and rate cycles by apt and swift repositioning of its investment strategies. It is well suited for investors with a one-year investment horizon. I probably won’t be investing in such bond funds this year since I’m going for the other two options below. This, however, seems to be a good strategy given the interest rate and liquidity scenario. Investors with a fixed term horizon, who seek certainty of returns, should look to invest in FMPs. The current short term rates are at elevated levels and are likely to compensate for inflation in the coming months. Both short term funds and FMPs will help you beat inflation in the coming months. Investors must avoid Income funds to stay away from corporate bond spreads. I’d already started my research on Fixed Maturity Plans (FMP) even before I read this article since I wanted them to be a core part of D’s portfolio this year. In fact, by the time this post appears, I’ll already have made the first investment in a 90-day FMP. I want to watch the interest rate scenario for some more time before committing to a longer tenure. Temporary cash must find its way to cash funds, as the return profile for such funds have improved dramatically over the last few months. These funds deliver substantially higher returns than the other passive form of investing i.e. savings account. Quite true. I’ve been accumulating my passive income in a cash fund over the past few months and the returns have been significantly high — way higher than what I’d have made if the funds were in my savings account. I’ll continue this strategy since I expect this good situation to continue for some more time. As I read elsewhere, being invested in cash is also a position. How about you? Are you investing in debt funds in 2011? If you have Rs 20,000 to invest each month towards building a retirement corpus, how does this portfolio sound for a retirement that’s twenty years away? Note: There is an overlap in the equity-investing style between the HDFC Top 200 Fund and the HDFC Monthly Income Plan Long Term Plan since both invest in large-cap growth stocks. When I consolidated my finances and started my investments in mutual funds, I opted for a Systematic Investment Plan (SIP) but the SIP-debits came from a lumpsum that I already had in my savings account. I think a better option would have been to park the lumpsum in a Systematic Transfer Plan (STP) and from there route the debits into the mutual fund(s) of my choice. The SIP would be a better choice when you don’t already have a lumpsum to invest but instead rely on other regular sources of income such as your salary for the investment amount. Will invest in companies that are not in the Top 100 stocks by market capitalization. Will not invest in companies that have a market capitalization of less than Rs 100 crore. Why I Chose The HDFC Top 200 Fund For My Portfolio? What is the difference between an Ordinary Mutual Fund and HDFC’s Top 200 Mutual Fund? I’ll answer a slightly different question — Why I chose the HDFC Top 200 Fund for my portfolio as opposed to another Mutual Fund? Had been on my radar for the past year (while I was consolidating — and planning to restructure — my finances). Consistently appeared as a consistent performer in all my research. An excellent long-term track record (10+ years) — no fly-by-night performances. Tailored to my investment beliefs — no esoteric investment methodologies. Rated “Elite” on Morningstar India. What do you look for when picking up a mutual fund investment? Look at investments without knowing their price — because if you see the price, it automatically has some influence on you. I did exactly that when I recently constructed my mutual funds portfolio — an SIP in HDFC’s Top 200 Fund to begin with. By the way, if you’re invested in the same fund, what’s your opinion on it? Investment Strategies: How To Save For Your Child’s Higher Education? I want to save for my kid’s (an year and a half old at the moment) higher education — about fifteen years away. I can set aside Rs 10,000 each month. Where should I save or invest? Rs 5,000 each month in a Public Provident Fund account. Rs 5,000 each month — through an SIP — in a diversified equity mutual fund. I’d pick the HDFC Top 200 Fund. Assuming an 8% rate of return for both investments, you’d have a corpus of nearly 34 lacs at the end of fifteen years — sufficient enough to fund a decent higher education. And, as I’ve written before, it’s prudent to think about the cash outflow of a financial instrument before you invest in it. For the options that I have recommended, it’s easy to stop/resume contributing depending upon your financial situation — you can even stop one and continue the other. What do you think? Would you advise a different strategy? Hit hard by the mass exodus of investors, amounting to an average of over one lac a month, the mutual fund houses are knocking on the doors of SEBI, which in turn is mulling over possible remedial actions including an expanded distribution model for these investment products. Over four lac investors are estimated to have closed their mutual fund accounts, as determined by the change in the number of mutual fund folios in the past three months, largely driven by redemption in equity-focused mutual fund schemes. Is this a sign of investor education — where they’re unloading all those dud schemes with fancy names and fancier investment methodologies? Mutual funds are a grossly mis-sold, mis-positioned, and mis-communicated financial product in India — Dipen Seth, Money Today, June 25, 2009. Add misunderstood to that list. Add Unit Linked Insurance Plans (ULIPs) to that list.